Very rare variety. 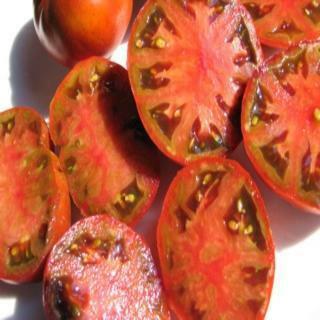 These seeds produce tomatoes Russet brown-red color with olive on shoulders. Small, 4 oz. fluted fruits have great tangy flavor. Heirloom Seed Packet. Very rare variety. Russet brown-red color with olive on shoulders. Small, 4 oz. fluted fruits have great tangy flavor. This one was a big hit here this Summer.